Mini Anglehead Flashlight | BUDK.com - Knives & Swords At The Lowest Prices! This Mini Anglehead Flashlight will go wherever you go with its compact size! 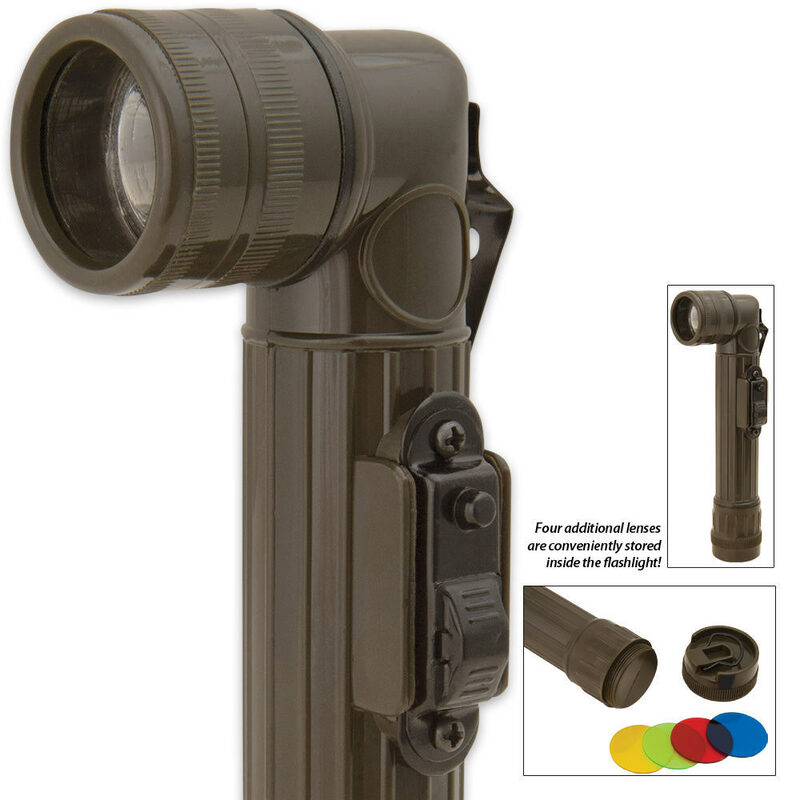 This flashlight is extremely durable and provides plenty of illumination. Got 2 of these one for my grandson and one for me. He loves playing with it, changing the color lenses. We have fun together at night. Cant beat the price. Is a good teaching flashlight for him to learn how to and not to use it. Bought 3 of these for my kids to use as they're crazy about flashlights and the different colors would keep them interested for awhile. Was not disappointed. The lights are indeed rather small, but I didn't mind that. They are not the most sturdy thing ever made, though, and I can imagine them not holding together real well down the road. But for $4 each, it's hard to go wrong. Recommended.